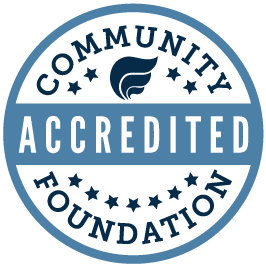 We believe that it is the primary role of a Community Foundation to serve our local communities. That is why, after all, that we use “community” in our name. And it is also why we were founded nearly 55 years ago as the Davenport Area Foundation. Community leaders like John Nagle and Bea Conrad wanted to improve the quality of life for their neighbors. It was as simple as that: community members wanted to activate generosity in Quad Citizens all across our region. To listen to our most promising opportunities and pressing needs, and then act—to live—in a way that amplifies goodness in our hometowns. John and Bea’s original vision in 1964 was to pool the charitable resources of area philanthropists, living and deceased, into a single, great, and permanent trust—or endowment—for the betterment of the city of Davenport. Community leaders would then forever distribute the interest the trust’s resources would accrue to fund charitable purposes that improve the quality of life for everyone in the area. And just one year later, in 1965, the Davenport Area Foundation made its very first grant, made possible by an estate gift from Bea Conrad. With that first grant, we began reshaping the way community members care for one another not just in our area, but throughout eastern Iowa and western Illinois. The foundation’s initial grants supported organizations like the Davenport Public Library, the Bettendorf Public Library, and United Way. Quickly, others joined their efforts, people like Tana Odean, our first executive director, and Susan Skora, our first president and CEO. Alongside a fiercely committed board of directors, they spread our impact across the Quad Cities—and beyond—as the Community Foundation of the Great River Bend. Several other communities joined our work, starting Geographic Affiliate Funds through our Community Foundation to promote rural philanthropy and give our rural neighbors opportunities to build their own endowments. In doing so, together we began empowering generosity in the Quad Cities, and beyond. Today, we aspire to be the most trusted resource for community generosity in the Quad Cities area. Period. Every single day, our board of directors and staff listen, lead and act to amplify goodness in our community. This is not something new—it is philanthropy, a love of humankind, that has played out time and again for more than five decades. It is something we wish to nurture and steward more of in the next five. Renamed the Quad Cities Community Foundation in November 2018, with people like you we renew our commitment to transform the region through the generosity of donors. It is a constant—a commitment—that has been with us since Bea Conrad and John Nagle started our community-based work nearly 55 years ago. It is history we carry with us today, and will forever.